Although the short range radio frequency technologies such as WLAN (Wireless Local Area Network) and Bluetooth were originally designed for the purpose of wireless communication, they have been widely adopted as common signals of opportunity for positioning in smart phones for both indoors and outdoors. The cell identifier and radio signal strength are the most common observables used for positioning. The applicable position methods include Cell-ID, fingerprinting, and trilateration. Fingerprinting is the most common approach, which can provide a positioning accuracy of even 2-5 meters indoors using either the pattern recognition algorithm or the probabilistic algorithm; however, the obtainable accuracy depends on the positioning environment. The objective of this chapter is to present the WLAN and Bluetooth positioning methodologies and explain the related positioning algorithms. The chapter covers an introduction of the topic, descriptions of the observables, the positioning algorithms, and the implementation issues of the positioning solutions. The chapter is concluded with a short section of future research directions followed by a brief conclusion. Wireless Local Area Network (WLAN, a.k.a. WiFi) and Bluetooth are technologies for short-range wireless data communication (Muller, 2001). They have been widely utilized in the wireless data communication and proximity markets for a long time (Naya, Noma, Ohmura & Kogure, 2005). WLAN (IEEE 802.11) is a wireless network similar to the cellular network. WLAN provides wireless communication over short distances using radio signals instead of traditional network cables. A WLAN is typically installed in the area from where a wireless Internet access is needed, e.g. in airports, hotels and offices. WLANs are built by attaching a device called Access Point (AP) to the edge of the wired network. Clients communicate with the access point using a wireless network adapter that is similar to a traditional Ethernet adapter. With the 802.11b (a variation of the IEEE 802.11) implementation, the maximum data rate can reach 11 Mbps in theory and about 5Mbps in practice. IEEE 802.11g extends the theoretical maximum data rate to 54 Mbps. The effective ranges of the WLAN signals are about 30 meters indoors and 250 meters outdoors. With an increasing deployment in many places, WLAN signals are now becoming an important positioning data sources for both indoors and outdoors. Bluetooth is a short range wireless communication technology that supports both voice and data transmission in a personal area network. Nowadays, Bluetooth chips are embedded in a huge amount of devices ranging from cell phones, headsets and stereo headphones, to medical devices, portable media players and games consoles. The Bluetooth technology has been widely adopted for positioning, especially for indoor environments, where the Bluetooth access points can be installed easily. The Bluetooth technology has two variations: the Basic Rate (BR) technology and Low Energy (LE) technology. The BR system further includes an optional Enhanced Data Rate (EDR) and the Alternate Media Access Control (MAC) / Physical (PHY) layer extensions. Classic Bluetooth offers synchronous and asynchronous connections with data rates of 721.2 kbps for BR, 2.1 Mbps for EDR and high speed operation up to 24 Mbps with the MAC/PHY layer extensions. Compared to BR/EDR, the classic Bluetooth technology, the Bluetooth LE (BLE) has the advantages such as lower power consumption, less complexity and lower cost. As GNSS (Global Navigation Satellite System) signals are attenuated significantly or blocked totally in urban and indoor environments, alternative positioning solutions for such environments are required in order to support the Location-Based Service (LBS). Although the WLAN and Bluetooth technologies are not originally designed for positioning purposes, they have been adopted for positioning for two reasons: 1) both technologies are available in a massive amount of mobile devices such as smart phones, and 2) the Radio Signal Strength (RSS) is correlated to the distance between the transmitter and the receiver. 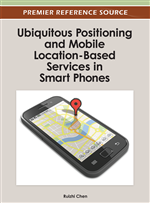 There are a number of observables derived from the WLAN and Bluetooth technologies for positioning. Some of them require additional or modified hardware but obtain better positioning accuracy in return using the time of arrival measurements (Llombart, Ciurana, & Barcelo-Arroyo, 2008) or the direction of arrival measurements (Kemppi, Rautiainen, Ranki, Belloni, & Pajunen, 2010; Kainulainen, Kalliola, Ranki, & Kauppinen, 2010), while others are the existing observables in the current WLAN/Bluetooth technologies. These existing observables include MAC address and Received Signal Strength Indications (RSSI). Common positioning algorithms include fingerprinting (Bahl & Padmanabhan, 2000), trilateration (Kotanen, Hännikäinen, Leppäkoski, & Hämäläinen, 2003), and Cell-ID (Wallbaum & Diepolder, 2005).